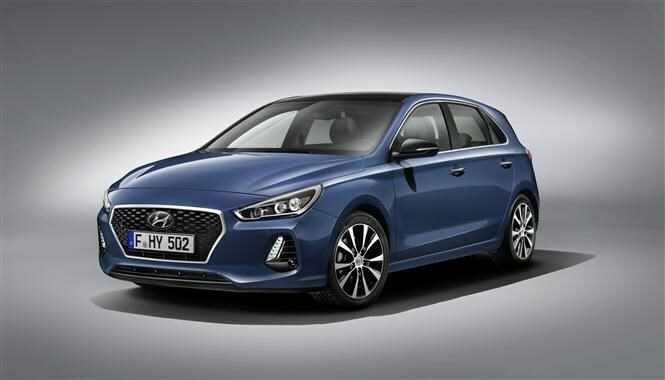 Hyundai has unveiled the latest generation of the i30 hatchback, a car which the brand hopes will be pivotal to future European sales. 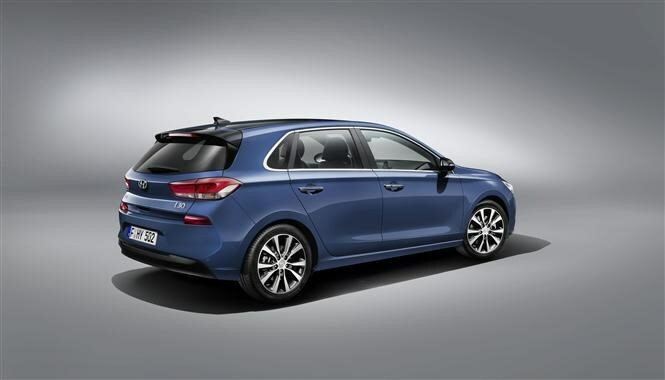 Available in early 2017, other i30 bodystyles are set to follow in the months after the model's UK release. 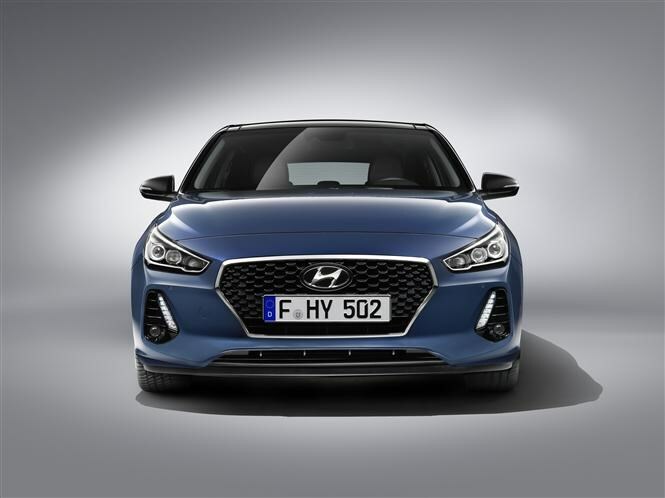 Set to rival the established Volkswagen Golf, Vauxhall Astra and Ford Focus, Hyundai has given the new i30 a distinctly European identity, the car being designed, developed, tested and manufactured in Europe. Hyundai has stated that there will be six engines available from launch – three petrols and three diesels. Parkers understands however that the lowest output petrol or diesel engine may not be offered to UK customers. For the petrol motors, that leaves a choice between the 120hp three-cylinder 1.0-litre and the 140hp four-cylinder 1.4-litre turbocharged engine, the former expected to emit just 103g/km of CO2 – putting it in the £20 per year road tax band in the U.K.
Opt for the diesel engines and the choice is likely to be between the 110hp and 133hp 1.6-litre turbodiesel units. Even for the more powerful version, Hyundai estimates zero road tax with the smallest wheels and manual gearbox, CO2 emissions dipping just below the 100g/km threshold. This comes in spite of it producing a hefty 280Nm of torque, enough to sling the 1.2-tonne i30 to 62mph in 10.2 seconds. All engines are expected to come with a choice of two gearboxes, namely a conventional six-speed manual and a seven-speed dual-clutch automatic. Keen drivers will be pleased to note the level of development work on the chassis, with extensive testing done at Germany’s most demanding race circuit. Hyundai engineers claim the track work is as much down to improving durability as it is about fun, the 1.4-litre turbocharged petrol engine alone having clocked up more than 6,000 miles of circuit time at the Nurburgring. This, according to Hyundai, is equivalent to 100,000 miles on public roads. Hyundai is set to offer a range of safety systems and multimedia technology on the i30, including adaptive cruise control, blindspot detection, lane-keep assist and high-beam assist – all coming as part of the active safety functions on the i30. Other features include autonomous emergency braking, (where the car will brake automatically should an imminent collision be detected), driver attention alert (uses sensors to alert the driver if dangerous levels of tiredness are detected), rear-cross traffic alert (warning the driver of approaching traffic when reversing out of narrow spaces) and traffic sign recognition – where the vehicle will display relevant speed limit notifications on the dashboard. 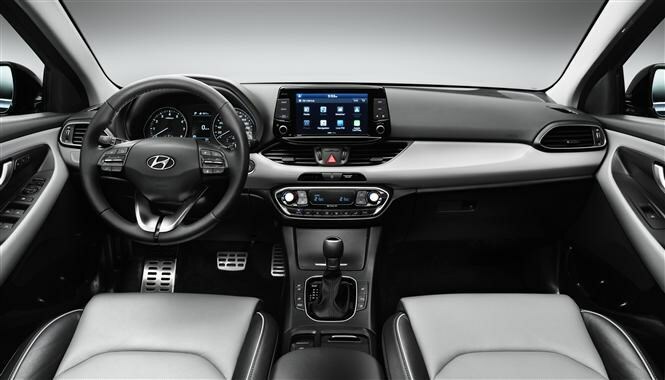 The standard infotainment system comes with a five-inch LCD touchscreen, integrated rear-view camera and Bluetooth phone connectivity. Customers can upgrade to an eight-inch touchscreen accompanied by the top-level TomTom sat-nav software (with a seven-year free subscription to TomTom Live services), Apple CarPlay/Android Auto and wireless phone charging. Boot space is measured at 395 litres for the five-door i30, which narrowly beats rivals such as the Vauxhall Astra and Volkswagen Golf. A two-stage luggage board and ski-hatch in the rear centre seat is also fitted in the five-door hatch. Trim levels and prices haven’t been announced yet, though we do know a performance ‘N’ version is on the way with a public unveil expected at the Paris motor show.